Two aged care organisations have announced their plans for significant developments in Victoria, one benefiting the State's rural community, and the other creating a multi-purpose environment closer to the city. Not-for-profit aged and community care provider Baptcare is involved in a $160 million development at Westmeadows, in a partnership with the State Government of Victoria and residential developer Frasers. The project includes a new 90 bed residential aged care facility, 110 new social housing homes, 34 independent living units for older residents co-located with the aged facility, more than 200 new private homes for sale and improved community facilities. Marking the start of construction Parliamentary Secretary for Health and Carers, Mary-Anne Thomas MP praised the concept and design of the project. “The development overall ensures people have access to housing that allows them to age well, while remaining connected to the community and keeping active,” Ms Thomas says. Federal Member for Calwell, Maria Vamvakinou MP welcomed the development in her electorate. “This residential aged care facility will give vulnerable members of my electorate a sense of independence, give their families peace of mind all the while building a stronger, healthier and active community in Calwell. It will provide Westmeadows with a quality and multipurpose aged care system,” Ms Vamvakinou says. Baptcare Acting Chief Executive, Brent Dankesreither says the development of the aged care facility reaffirms Baptcare’s commitment to seniors in the area. 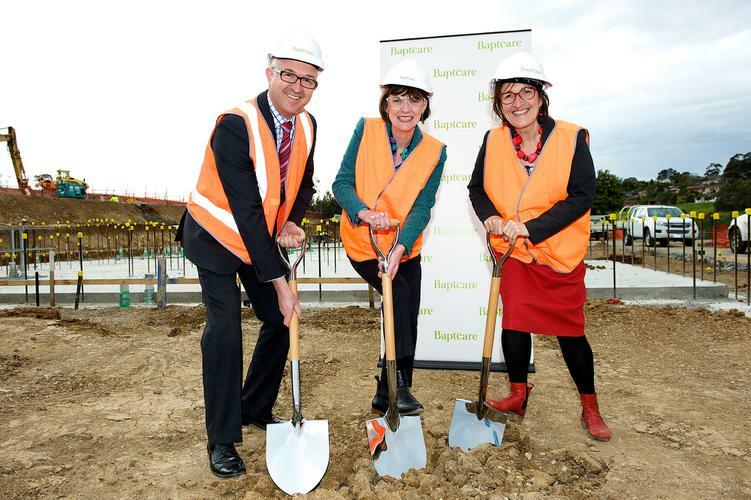 “This development will rejuvenate and revitalize the Westmeadows community, addressing the unmet need for aged care beds, delivering benefits to residents, families and staff and reinforcing Baptcare’s position as a leader in aged care,” he says. Baptcare has appointed Devco Project and Construction Management as the builders, with works to commence shortly. The project is expected to be completed by late 2017. A rural township in Victoria is set to benefit from a $34m redevelopment at TLC Healthcare’s Homestead Estate in Wallington. Consisting of Homestead Lakes and The Homestead, the Homestead Estate has been providing quality residential aged care in the Wallington area, near Geelong since 1991. The redevelopment will unite the two homes into one location, adding an extra 125 beds to the current 135 beds. It will also incorporate a state-of-the-art TLC Primary Care medical centre, a dedicated day respite facility and a rehabilitation gymnasium and hydrotherapy pool, and will boast modern interiors, a café and extensive outdoor areas. Once completed, Homestead Estate will be the largest residential aged care home in Victoria offering the benefits of co-located aged care and primary care that are unique to TLC. He believes with the latest innovations in facilities and services and in a beautiful and peaceful rural setting, the redevelopment will revolutionise aged care in the Geelong area. “The redevelopment will also contribute to jobs growth in the region,” he adds. Mr Pascuzzi made the redevelopment project announcement while celebrating the 25th anniversary of Homestead Estate with the residents and their families. Construction is planned to commence in March 2017.